This week is going to be pretty random, but if I don’t write something, then I’ll be even more off my game than I already am. O 10 Books: There’s this meme going around on Facebook where you list the ten books that have “stayed with you.” Keep in mind, this is not a recommendation list from me (see #3&4), but just books that made me think a little extra long. Get it? They were turning 9? Anyway, if I had known that that would be our last year with a “theme” cake, I might have hired somebody else to do a better job on the decorating. Stupid Goldengrove. The boot is off! I have been cleared to do aquatic exercise, elliptical or stationary bike. Hooray! But no time to do those things with two PT appointments a week yet. Boo. O Exercise: Between writing, family travel and now Advent preparations, I have had zero time to get to the gym. What I have started is this Lazy Lie-a-bed Good Morning Stretches routine. Me: Yes, every morning before I get out of bed. O Book Review: Now that the blog tour is (mostly) done, I have gotten back on my schedule of reading the review copies I picked up at CMN. 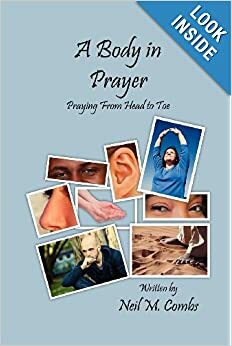 The latest review is A Body In Prayer by Neil Combs. I admit, this did not make the top of my schedule because when I read the title, I feared it would be some kind of hippy-dippy, “stretch like this to open your heart to the light” yoga-fest. I met the author at the Catholic Writers Guild Conference, however, and while his complete lack of in-person hippy-dippiness put me a little more at ease, still I remained leery. Now that I’ve finished it, allow me to dispel any fears you might have! A Body In Prayer is a moving, challenging, and yet still comforting read that helps us see that every single motion we make, whether voluntarily or involuntarily (yes, there is a chapter on praying with your stomach) can be lifted up to God. A Body In Prayer makes the daily challenge of Christian living seem more approachable without ever watering down the fact that it is in fact quite a challenge. Bravo, Neil! O Dignity: Lastly, check out Kate B’s series on how chastity education isn’t just for teens; it’s actually a means of keeping even our youngest children safe(er) from predators. It’s like how anti-counterfeit workers are taught how to recognize counterfeit bills: they don’t spend the day studying bad bills; they spend their days studying exactly what the real deal is supposed to look like. When they encounter a fake, they can stand up and say, like St. Maria Goretti did, “No! It is a sin!” Good on ya, Kate! ← Recommendation: It’s ALMOST My Birthday! Hee, thanks! This year, I was all geared up to make a 3-D glasses cake with “Allons-y” on it for their 10th, but I guess they’ve outgrown all that. ::sobbing:: Maybe I should’ve asked for a Doctor Who cake for *my* birthday. So do I, Kate, so do I.